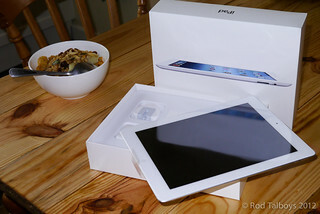 I am an iPad fan! There I have admitted it. OK it's not perfect but it is incredible and exciting. Like many others I dived right in and saved photos, and later on created albums, loaded photo Apps and suddenly I have nearly a 1000 photos and 15 albums and managing this became an issue. A few months back I had a rethink and decided to control my iPad photos from my Mac. I chose originally to do this using iPhoto on the basis that this would be easier as most people have this compared to Aperture which I use as the core for my photography management. Recently Apple released new versions of iPhoto and Aperture and an important new feature on both was the ability to share libraries, so now I have switched over to controlling iPad from Aperture. The other tool you need is iTunes, not my favourite piece of Apple code but there are rumours they are about to update/replace it (written 31 Aug 2012). 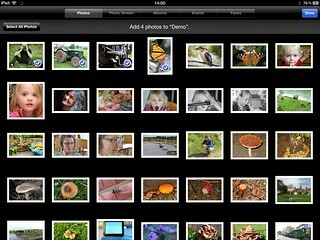 Although simple when you have several hundred photos on your iPad things become difficult to maintain. Using the standard Aperture commands create an album (mine is called iPad-RT) and then add various embedded albums within this. 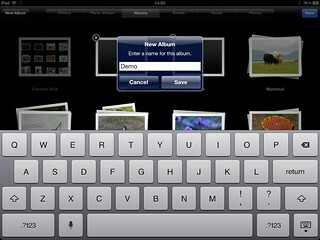 Simply drag the photos you wish to have on your iPad to the relevant album. 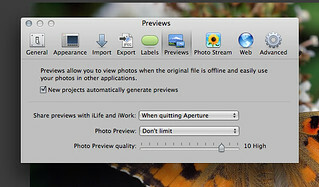 Close Aperture to ensure the previews are updated. Connect your iPad to your Mac USB and if iTunes does not start automatically then start it manually. In my system the iPad will go through the standard synchronisation on each new physical connection. Your iPad should show on the left below Devices. Click on this and then on Photos on the top right (highlighted in my photo below). 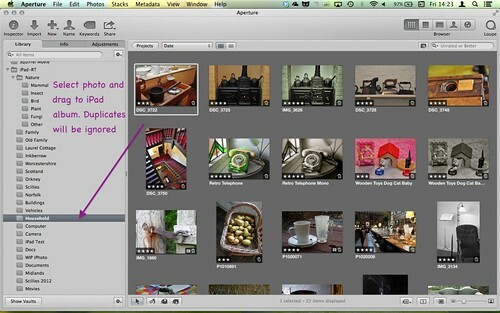 Select Aperture in the Sync Photos from list and then select the albums you wish to download/sync. Note it will only download new photos or modified photos. I also download the last three events, which typically are the last three imports to Mac from one of my digital cameras. 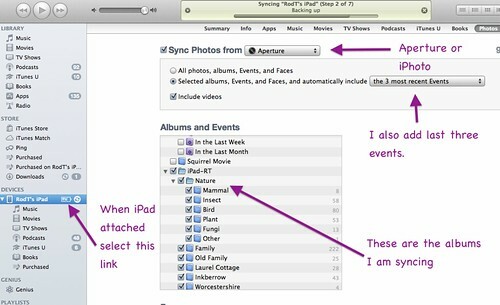 Note: Albums and photos created on iPad by this method cannot be deleted on iPad, the album has to be deleted or photo removed from album in Aperture and then sync removes them from iPad. 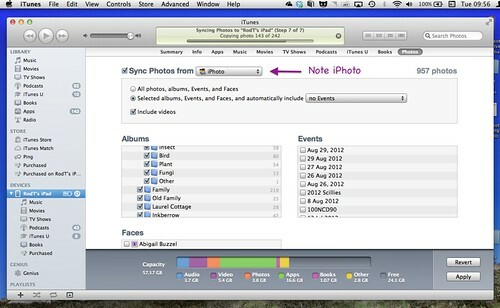 This screen is shown during sync showing total photos and total per album. 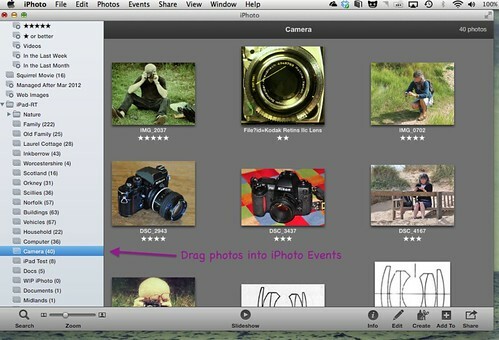 iPhoto can also be used to control iPad photos in a similar way. The first screen after the iPad is connected is shown here. 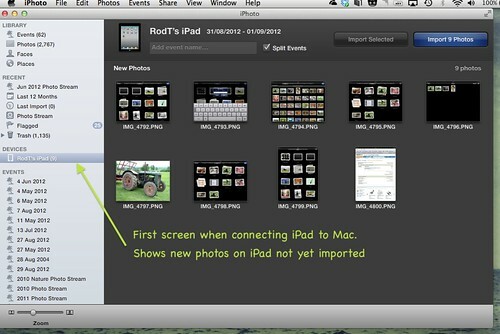 Note that any new photos on the iPad will automatically be offered for import. 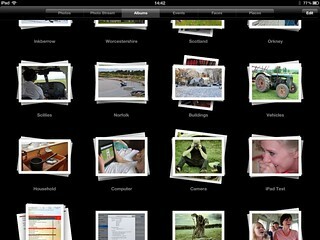 Drag the photos you want to be included on the iPad into the relevant album. 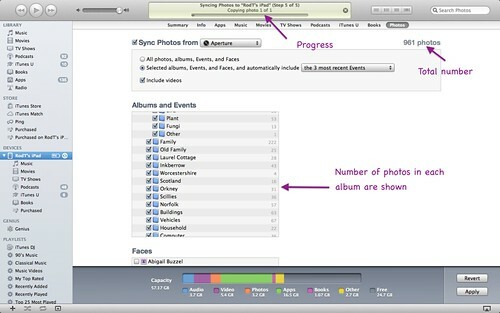 The photos are then synchronised to the selected albums, as for Aperture.